A beautiful abstract floral cluster outline is the centerpiece of this charming set. 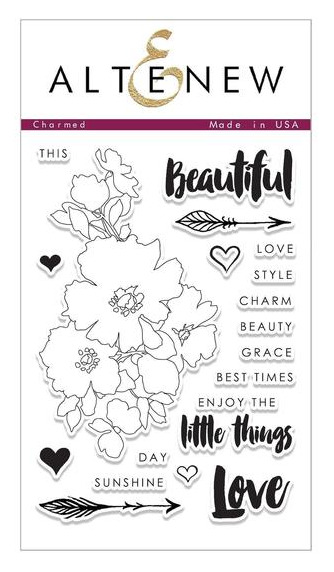 Along with hand-drawn arrows and brush-lettered sentiments, this set is perfect for creating projects that are right on-trend! This is a 4" x 6" clear stamp set containing19 stamps made in the USA from high quality photopolymer.